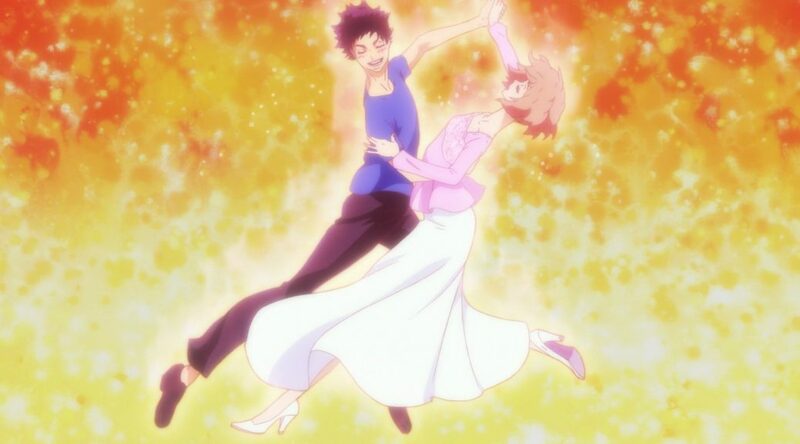 We’ve got another look at the production of Welcome to the Ballroom, its creators, and also the downfalls of the projects that have made themselves more than obvious at this point. Time to tackle the good and the bad! And so we reach the second fully outsourced episode in the series, after Pierrot handled #2 under tragic circumstances. This time it was in the hands of FRONTIER ENGINE, a frankly unremarkable supporting studio that only started operating 4 years ago; they work with just about anyone (although Toei and A-1 rely on them in particular) and despite having links to some solid animators like Tomoaki Kado, their results are standard at best. Keep in mind that subcontracting companies generally work in sub-par conditions even when compared to the messy industry at large, so it’s quite hard for them to deliver high quality work. And when it comes to Ballroom, the end result is acceptable…thanks to the animation directors working harder than ever, that is. People who have contacted the leading animators in the project have heard the supervisors groan as they comment how much redrawing these episodes require. In this instance we even saw Takahiro Chiba credited for 2nd key animation, which obviously involved more than the usual clean-up duties. It wasn’t even his turn in the rotation, but the show’s best chief animation director still had to do a lot of work polishing up this episode. Even unspectacular episodes take quite a lot of work. And to be honest, it’s hard to lament that this episode was given low priority production-wise, since it’s nothing but preparation for the much more interesting competition. I actually appreciate Tatara and Mako’s cliché yet adorable bonding, but I wish Ballroom realized that it’s irredeemably unfunny and they simply started skipping what they believe are the mandatory gags. 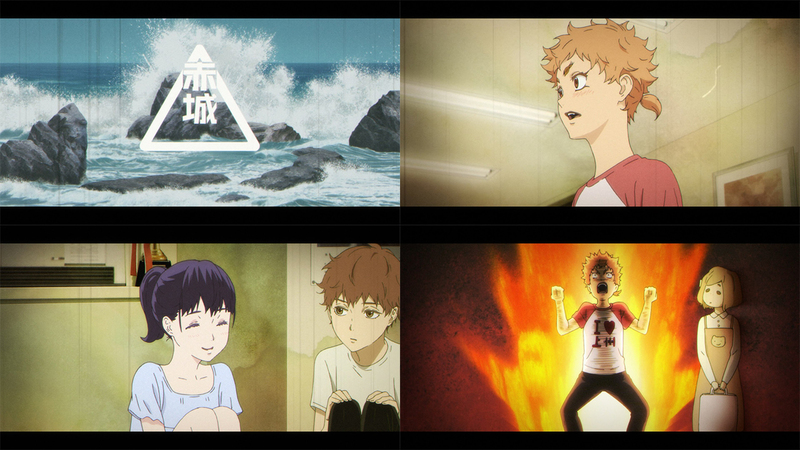 There are some isolated highlights in that regard, such as the flashback where Gaju embellishes his memories as a movie – these are the little details to be expected with storyboarders like the returning Keiichi Hara and series director Itazu himself. Sadly, Gaju’s character overall is grating, having all of Sengoku’s annoying male bravado and no actual charisma. His speed when dancing catches the eye, but outside the dancefloor he’s another mild annoyance. So, moving on! This is more like it, although the anime still lingers a bit too much on the awkwardly unfunny bits of the manga. There’s no doubt that the staff have approached the sport with immense respect, going as far as personally training in it to gain understanding of the dancing bodies. That didn’t cause them to always approach the craft in a strictly realistic way, but rather allowed them to use their knowledge to draw something that conveys genuine feelings. The downside to the whole situation is that they’ve approached the source material with similar respect, and thus even its weaker moments are faithfully recreated. I have no problem with its juvenile, hotblooded competition nonsense – this is what I signed up for to be honest! – but that doesn’t mean I appreciate the annoying clichés. I wish the reaction to this wasn’t to condemn shonen works as a whole, and treating them as if they weren’t perfectly legitimate pieces of entertainment; be careful with decrying childish media as an adult, because you’re complaining about the existence of toys that aren’t really yours to begin with. Still though, asking them to do better is perfectly reasonable, and Ballroom definitely has room for improvement. It’s been an unusually negative look at the series, caused by both the weaker episodes and the fact that I had been leaving aside problems that always existed. That said, the dancing still packs some power, even when the production understandably holds back! Series director Itazu claimed that TV limitations weren’t making him restrain himself, but his very first project in this space is internally pacing itself in a pretty smart way. And when you have people like Takashi Mukouda, even smaller efforts can produce impressive results. Both action animation directors have a tendency to liberally use smears when drawing the legs of the dancers, to show their vigour and the sheer force the movement carries. That is particularly obvious when Mukouda is correcting – and as we’ve been seeing, he corrects a lot. If I had to choose my favorite piece of animation this time around it would be without a doubt the clash with Gaju and his outburst afterwards. Seeing some of the show’s energetic acting leaking into a moment that isn’t dancing per se was nice for a change!